The Partnership Board was set up because the government said every part of the country needs a group of people to work on all the things in Valuing People and make sure services are better for people with learning disabilities and carers. Valuing People was written in 2001 and has been updated since then. Click here to read the latest clear words and pictures version of Valuing People Now. The Partnership Board is made up of staff from services like Stoke-on-Trent city council and the NHS as well as carers and people with learning disabilities. 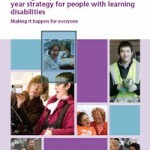 All the things a good Partnership Board should be doing are in a guide written by the government. 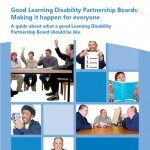 Click here for the clear words and pictures version of Good Learning Disability Partnership Boards: Making it Happen for Everyone.